Federal and Local Landmark status. Captain Byron built his namesake Byron Hotel in 1899. 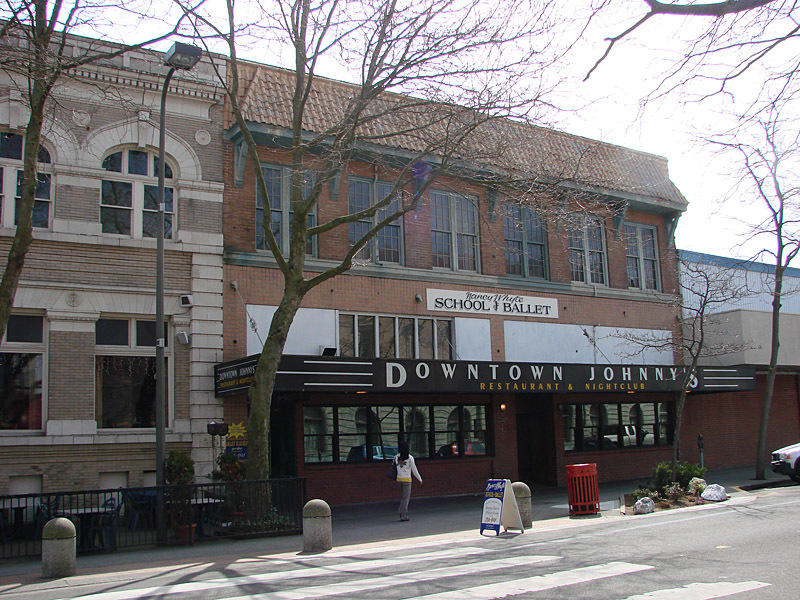 It was a nine-story, brown brick building of the Chicago style with eclectic elements from the Mission school. 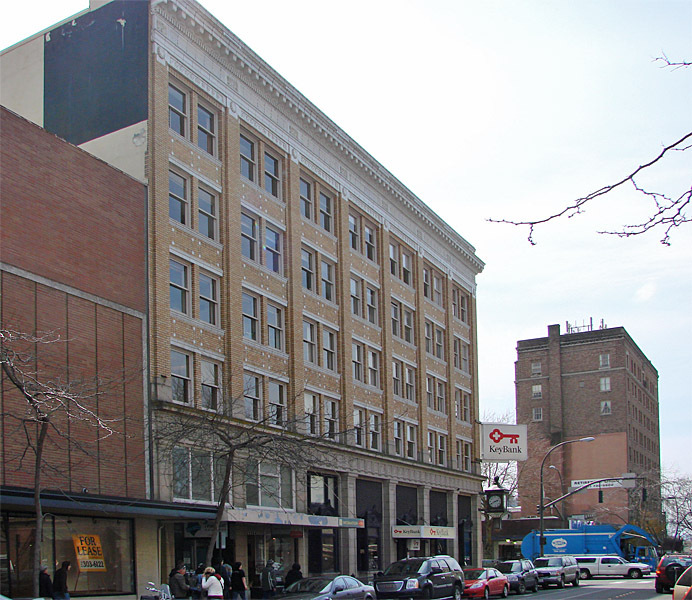 Once credited as being the finest hotel in Bellingham, as well as a thriving social center, most of the structure was demolished in 1967. Today's last remnant, the Leopold Hotel, was a 1929 addition to the original building. In the time of the Byron Hotel's construction, Bellingham was characterized by extensive growth spurred not only by successful ventures in timber, fishing and coal, but by speculation that Bellingham would become the Terminus of the Great Northern Railroad. The hotel was built with a red tile roof and round arches that gave it a subtle California look. At street level, the facade is elegantly hand painted with high glaze tiles and leaded glass windows that still display the hotel logo in the entryway. A newspaper clipping from 1899 exclaims that the Byron hotel was "centrally located within easy access of all points of interest. Large rooms on second or third floor are comfortable and tastefully furnished." Leopold Schmidt was a brew master who established the Bellingham Bay Brewery who bought the hotel upon moving to Bellingham in 1910. When he died in the hotel in 1914 his appointed hotel manager, Henry Schupp, renamed the hotel Leopold in his honor. In 1913 the hotel consisted of 200 rooms, 100 of which with private baths, a dining room that could accommodate 150 people and twenty-five additional sample rooms. Two additions came later, in 1922 the Tulip room known today as the Crystal Ballroom and another addition in 1929 increased the number of rooms to 500. 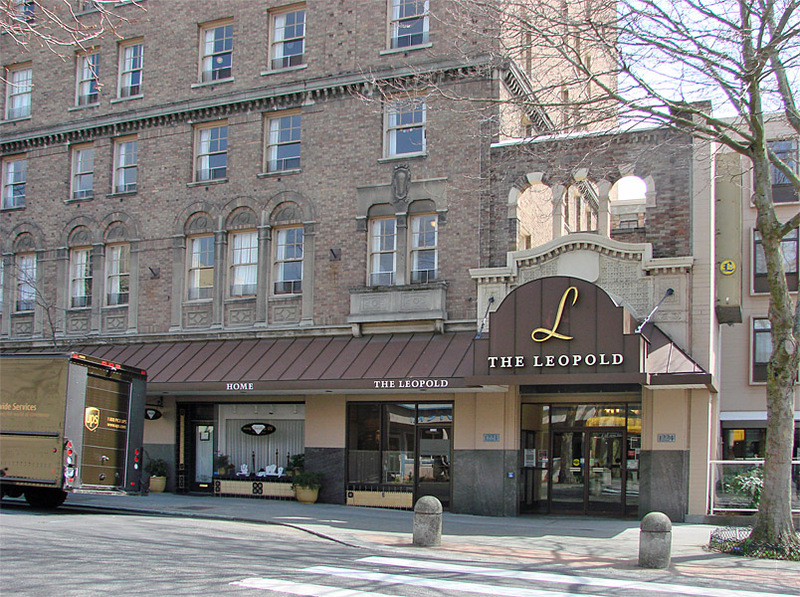 The Leopold tower, since the main hotel's demolition in 1967, has held a wide variety of restaurants and businesses, including a couple years where it was the meeting room for the Bellingham Central Lion's Club. 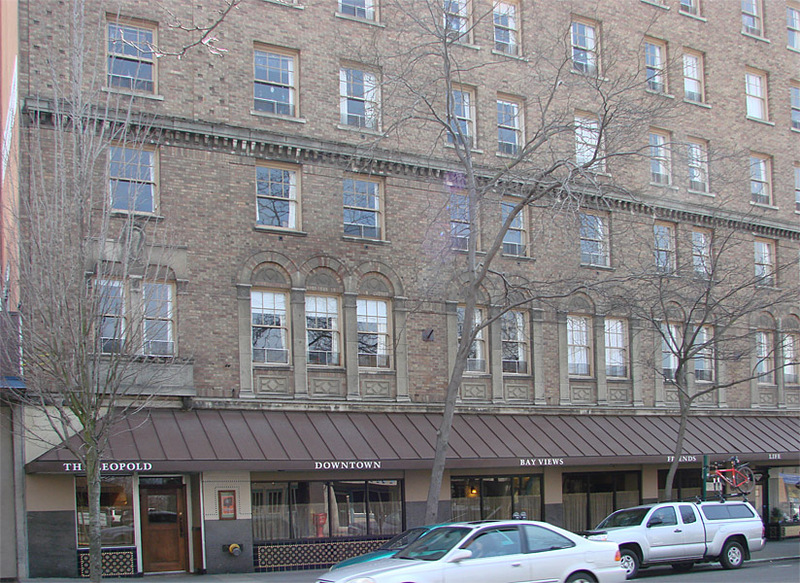 The Leopold Hotel, on both the National and Local Historic Registry, is presently used for retirement apartments. 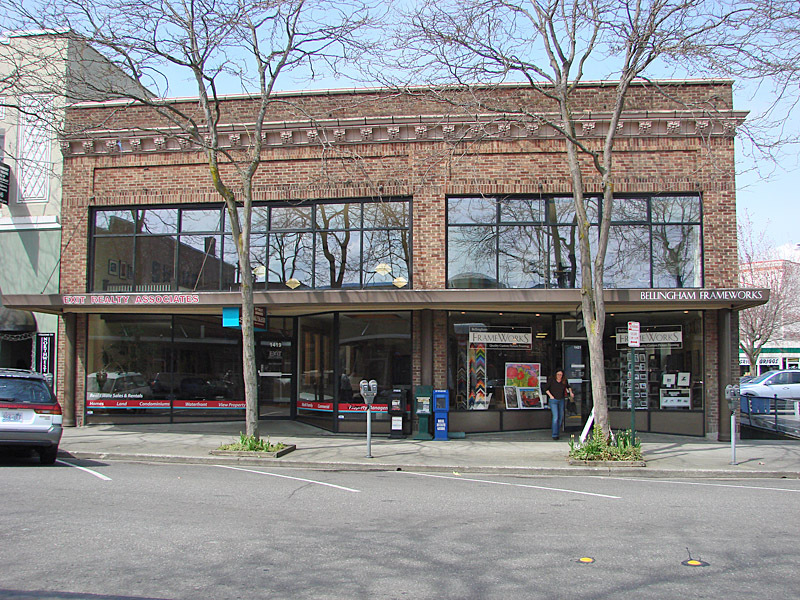 The Bellingham National Bank was founded on January 3, 1905. After only seven years the bank was so successful, under the leadership of President Victor A. Roeder, that plans were made to construct a new bank building. The site they selected, where it presently stands, was formerly occupied by the Beck Theater reputed as being the best playhouse west of Chicago. The construction of the new bank building began in 1912 with architect F. Stanley Piper, who had come to Bellingham from Britain in 1909. The building that Piper designed was molded from the popular utilitarian Commercial (or "Chicago") style. While this style was relatively common in the East and Midwest, for Bellingham, it represented a striking difference from the round-arched, brick and sandstone Romanesque styles frequently built in the 1890's. 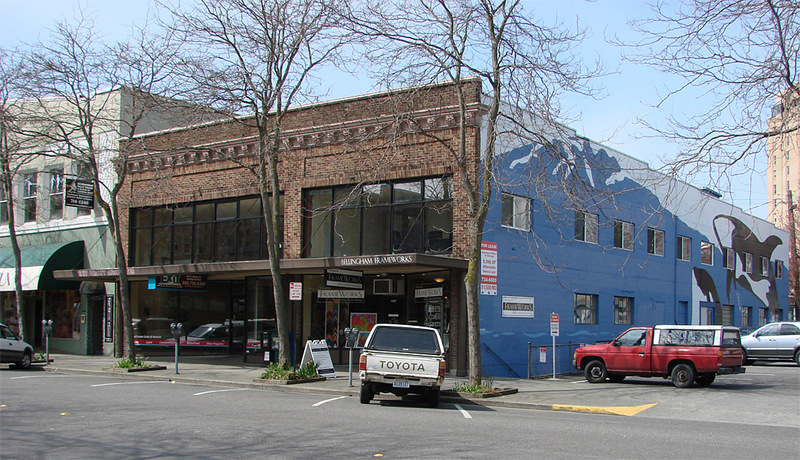 The Bellingham National Bank Building is constructed of reinforced concrete. The exterior of the first floor is faced with smooth masonry, neatly contrasting with the light brick covering on the upper four floors. The building's first floor is elaborately decorated with a round arched lobby entrance, and elaborate bronze bank windows. Two Doric columns support the entrance and centered in the above parapet is a carved eagle. The cornice of the building is trimmed with white masonry with a floral motif. Bellingham National Bank occupied the first floor and the partial basement when the building opened on December 1, 1913. 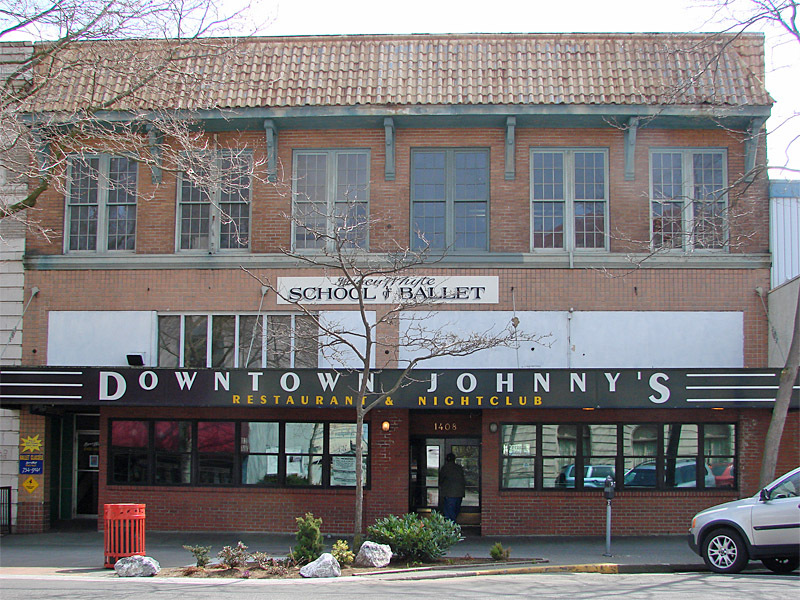 Originally, the Holly Street side of the first floor had four commercial locations and one behind the bank on the Cornwall side. 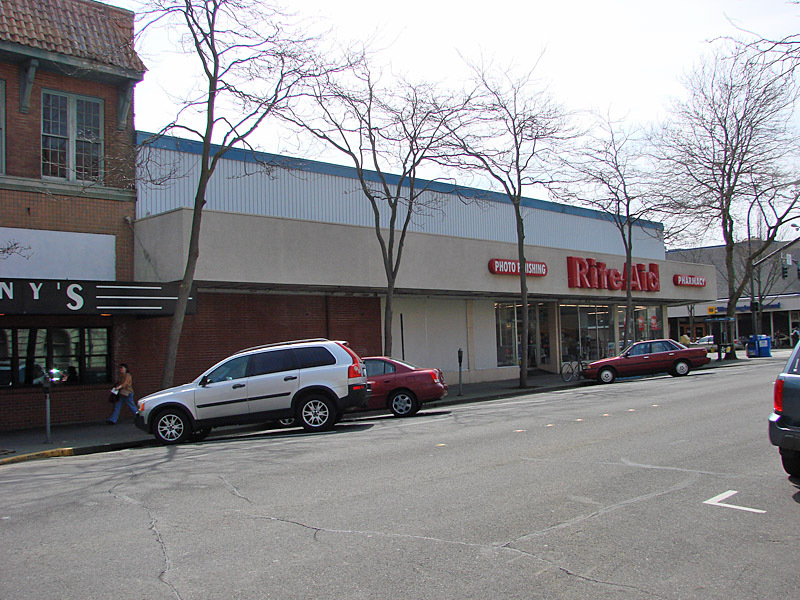 Currently, Key Bank of Washington occupies the entire first floor, while the upper floor offices are leased to various professionals such as the State Attorney General. 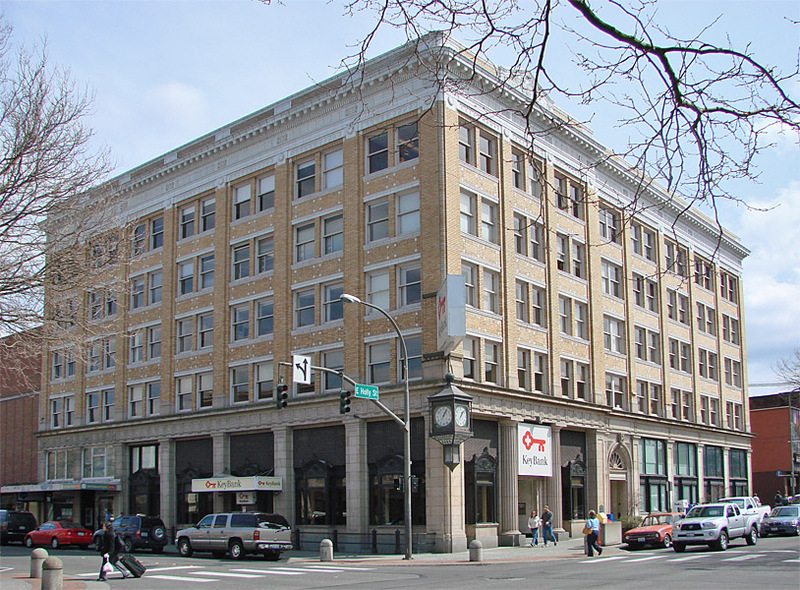 Until the Bellingham Herald Building was built in 1926, the Bellingham National Bank Building was the largest and most modern building in Bellingham. 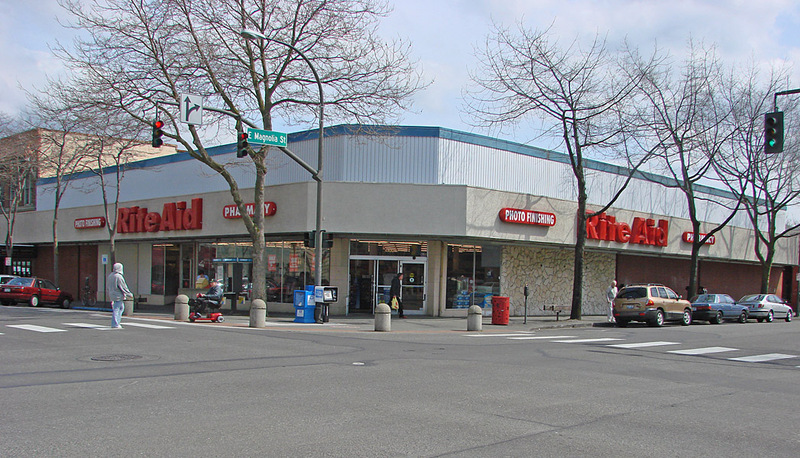 1400 Cornwall Ave, corner with E. Magnolia.